Michael Lehnert had the most liked content! Very saddening to read this all of a sudden. 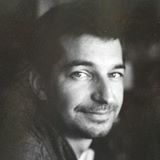 But JPB – one of those few who successfully combined being an engineer, and inventor, and entrepreneurs – immortalised himself with a family of products that are ingenious things of beauty, while allowing others to create with them Cinéma Vérité and Direct Cinema documentaries that manifestly progressed le septième art. This is Cinematography.com, not a Facebook group or Twitter tirade. As a moderator of this forum, I very kindly request you moderate your language to maintain the professional tone everyone upholds here. Also, defamation is a specific offence, especially under the Netherlands' Civil Code. Can I suggest you read up on the difference between slander and libel, because you use the words incorrectly. The history of the few Schneider 30x6mm is no secret. After market testing at Photokina, Schneider decided for good and pretty obvious reasons not to move beyond their prototype or pre-series run of this lens. Some of the specimens, either from Schneider or Beaulieu distributors who actually showcased them on their own Photokina stands in parallel found their way into private hands over the years. One I know was modified for a specific filmmaker for specific film projects which were shown at closed-door club events. These were mostly nature documentaries, an application where this lens made sense. This is all discussed in this thread and other threads here. Also in print in the German-language BeaulieuMagica magazine of the 1990s. I only know the current whereabouts of 2 lenses, one in Germany, one in Switzerland. They are not for sale. One was in active use, the other forms part of a private collection. As time goes by, they will inevitably become part of an inheritance or bequest. Interesting. There would obviously have to be reflex element inserted given the off-set from the slate bay mod to the film path, plus light on the mechanical counter. Could you point me to where you read about this, Frank? I am intrigued as I only know external archival set-ups for BNC, and not in-camera mods. Here's a set pic of BNC 70: Given that all the outtakes in this episode feature a NISO code (you can turn these to get ANSI or DIN shown) and not the scene/take shown on the slates in the actual scenes, which the mods depicted in Mark's post would have clearly allowed, did Lippy shoot archival codes in-camera in parallel to conventional slates? Okay, your descriptions are getting a bit confusing, but given that the camera runs and other power features (such as zoom) work, the camera seems to be - at first sight - fully functioning. The white dot of the outer-manual ring is at 12 o'clock. The white dot of the inner auto-ring is at 6 o'clock. Pulled down the M' lever a few times. It's set to speed and 18fps (tried 12 and 24 as well). Still no movement with the only thing indicating power being the red dot above the viewfinder image. So the inner ring is not moving from Closed / 6 o'clock clockwise to the Open/ 12 o'clock position when depressing it firmly, while the trigger at the front camera is being pulled and held down to make the camera run? That's not good. However, if that's the case, the camera shouldn't be running at all, under any circumstances. So I am unclear how you can run the camera otherwise. I might have misunderstood! With the outer-manual ring white dot set to 6 o'clock it works! That's also not possible. The camera is always locked and unable to run when the outer-manual ring is at 6 o'clock (Closed), with it also being slightly elevated showing a red rim around the the ring closest to the body. Can you open the rear cartridge compartment, point the camera at a light source or sunlit scene, and start it? You should see the light through the camera film gate while the camera is running, which means that the variable shutter is open. If that's the case, then a previous owner tinkered with the camera variable shutter ring, and may have accidentally put the ring button back in 180° the wrong way round, so that Open is Closed, and Closed is Open. That would be extremely stupid, but given the amount of stupid tinkering that perfectly functioning production cameras had to endure recently, mostly ruining them in the wake of it, I guess that's how the S8 camera market looks today :rolleyes: I'm guessing, by the photo in your article, I should be able to turn the outer ring, without turning the inner ring. But I can't, so that might be stuck somehow. No, that's actually how it's supposed to be: when you turn the outer ring in any direction by hand, from 12/Open to 6/Closed or back, the inner ring is always moved along with it, so that the white dots of both rings always remain aligned when the outer ring is moved. You will also not be able to depress the inner ring. While the camera is running in any SPEED setting (12, 18, 24), the inner ring is moved by an electric motor when you depress it. The outer ring does not move along, it stays where it is. The inner ring will turn from 12 to 6 in around 3-4 seconds, and then stop the camera. You can actually see how the variable shutter is closed when looking through the film gate (cartridge compartment open, pointing the camera at a light source). In order to re-start the camera from this locked 6 o'clock/closed position, the only way is to pull the trigger at the front (the camera won't start), depress the inner ring (the camera will then start) from when it will turn clockwise back to 12 and then A ) stop again if you haven't pulled the M button down to cancel the memory feature (which is for rewind/double-exposure etc. ), or B ) continue running for as long as the front trigger remains held when you. I checked my library, and I only have the full set of documentation in German. Well, Irving "Lippy" Lippman was DoP on "The Monkees" for Director James Frawley, and shot on Mitchell BNC, including #70 (manufactured circa 1950, so a mere 17 years old when this shot was taken). That explains the legit content typed on the white inserts above and below the NISO code marker. There were aftermarket macro-banc type accessories to shoot ANSI, NISO and DIN standard markers when archiving motion picture material such as newsreel shots (for which the B/NC-series was originally developed). See the macro resolution of the mechanical counter and frame. Similar accessories were also later available for 16mm, and then Super 8 when J.-P. Beauviala at Aaton, plus Nizo and Bauer in Germany, thought about pushing S8 as a low-cost news-gathering medium in the 1970s. I am unaware of a turret-mountable version, to shoot such markers on set alongside the main lens. So I don't think this was shot during principal photography, although "The Monkees" was a pretty anarchic production. I also wouldn't know how this could be done by modification in-camera. Double-checking in Samuelson's Motion Picture Camera Data book, I can't find anything in the lists and description that would indicate either of the above. However, I am happy to be proven wrong. AHA! If it's the red dot indicator on the top left hand side of the viewfinder that is the only indicator light on, then this means that the camera is indeed in Rewind mode programme as we originally discussed. In that case, you would also not see the green indicator light on the top right side of the viewfinder, that indicates that the batteries have an operational state of charge, and the camera operates nominally. Please have a look on the left hand side of the camera. You can see the variable shutter wheel there. If it is not in the open position (at 12 o'clock), but in any position between 12 (open) and 6 (closed), and the wheel is slightly elevated, showing a red border around the knob's rim, then this indicates the variable shutter is not open, and the fade/rewind mode programme is activated. It needs to get deactivated to run the camera normally. Make sure that the outer manual wheel is on 12 by simply turning it anticlock-wise into this position. It should sink in a bit at 12, somthat the red borderline disappears. Although you have done so already, do push down the M lever once more. Then try again to run the camera by pulling the trigger, with the PROGRAM button on the right hand side set on SPEED (green dot), and the SPEED button set to 18 fps (green dot). The camera should now run at 18fps, and operate as intended. Furthermore, it could also be that only the inner AUTO wheel that is in the 6 o'clock Closed position, while the outer MANUAL wheel is at 12. In that case, turn on the camera, pull the trigger (set the camera onto SPEED and into 18, as discussed above, so that you it start at a reasonable 18 fps after maybe many years of non-operation), and then depress the inner Auto wheel into the camera body. You should hear a click noise when the electronic is cancelling the memory (what the M lever does manually for the manual outer wheel), and the camera should now start running at 18 fps while the inner wheel automatically turns clockwise (!) into the 12 o'clock position. The camera should now run normally. Also, without jumping ahead to your A512 working, don't press the 54 button at the top without a cartridge inserted. It's not good to yank cameras above 36 fps without a cartridge inserted. Good luck! Yes, that two-battery compartment panel is supposed to come off completely, like the panel at the bottom of the pistol hand grip. There's no hinge to keep it in place or swivel it out or something. With the upper side of the panel interlocked with the metal plate notch on the camera body, and the panel swung in to turn the turn screw into place, the two-battery compartment panel should close quite tightly. There is the tinniest bit of play on the extreme sides of it, where you can push it in by half a milimeter with great force when shut. However, the centre of the panel should be immobile and have no play whatsoever. If you can push that entire panel in while the lock screw is turned into the close position (the white dot), to the extend that you can feel the batteries being pushed in further, than that's not alright. Is the little plastic notch on the inside of the turn screw mechanism in the compartment panel intact, or broken off / re-glued on? This is one of the main fail points of the construction of the camera... this, and the plastic shaft of the female screw cavity in the pistol hand grip. Now, do keep in mind that if we surmise that there's potentially an electrical contact issue from the panel being too loose and the electric circuit with the batteries not being closed correctly, then your pushing the compartment further, bringing springs/batteries more into touch, should actually remedy the lack of electrical contact, and make the camera power up. Also: Is the camera completely dead, i.e. when the power switch is on ON, is the exposure meter changing the f-stops in the viewfinder as you move or zoom round? If that's the case, we can say that there might be a contact issue with the main switch (corrosion), or an IC on the electronic circuitboard has blown, which controls the master control of the camera. If some sub system work (exposure), we can narrow this down a bit more. Unfortunately, I can't see the image you say you have embedded in your post, but there's only one lever on the left-hand side, next to the variable shutter wheel marked with an M. It should make a clicking noise when released (pulled down), thus cancelling the Rewind memory. Based on your description, It seems that wasn't the issue. If you go to this post here, www.cinematography.com/index.php?showtopic=26088&p=467106 , you will find two files to download, which are articles I penned for Super 8 Today magazine about how to operate the top 4 production cameras, one of which is the Bauer A512 (tou definitely made the right choice choosing this camera - I use mine since 96 alongside Beaulieu 4008-series models). The downloads arw basically free manuals to read. One file is the text file, the other a PDF of the printed articles with pictures. Maybe this will help? I have a PDF of the original manual, but it's in German, so unless your German is better than your French, it may not be much of a help. It does start up without a cartridge inserted. Make sure that the switches are set to SPEED on the right-hand side and M is released - pull the M release down to make sure the camera wasn't accidentally left in Rewind mode half-way through that trick effect. If nothing helps, could be that an IC going bust on the electric motherboard. Tricky to repair. The 4008-series has a variable shutter with a 100° opening angle, operated by the topside lever. As Chris believes, the shutter speed is indeed between 1/7 sec when set at 2 fps, and 1/86 at 24 fps and 1/87 at 25 fps. You can get a manual for the 4008 ZM specifically as a PDF download by clicking here, and an overview of operations in comparison to the other top Super 8 cameras as download in this post here in our Super 8 forum's FAQ. 'restructuring' isn't meant in the sense of a reorganization under the bankruptcy laws like Chapter 11 in the US. The German website uses the same word, 'Restrukturierung', which has no connotation whatsoever that would indicate that the company is closing down. That would be 'Liquidation', 'Räumungsverkauf' or 'Geschäftsaufgabe'. Wittner have said in previous newsletters that they will restructure what they list and sell, based on actual demand. Lots of Beaulieu accessories will probably get trashed or otherwise recycled because they no longer sell (even with discounts). So over the next 3 months (which includes the usual summer vacation period where many German 'Mittelstand' companies close down completely), they will restructure their warehouse, discard many product ranges, and overhaul their online shop and depository stock. S8 film stock is unlikely to disappear. It will concern mostly camera-related hardware that is past its sell-by date. The best would be to buy one or two barneys for 16mm or 35mm cameras, such as Eclairs, and have it re-dressed around a Beaulieu. Dedo Weigert in Munich offered them until a few years ago, but I am unclear if that's still the case. Have you actually contacted Ritter in Mannheim, info@ritterfilm.de ? While this is not the original Ritter Film + Videotechnik firm, its a legacy company set up after Ritter's bankruptcy. Its staff are the original Ritter workshop crew that rejected offers from both Bavaria Film in Munich and Wittner Cinetech to move over to their respective companies back in 2003 to take over either Beaulieu service or Beaulieu spare parts supplies. Maybe they could be enticed into sharing the blueprints or technical drawings? The Beaulieu SD8/60 still pops up occasionally on eBay, every few years. This may be the only economically reasonable way to get this magazine. To build one from scratch, using the 16mm-magazine from the R16/2016-series will bring with it a considerable cost for design and engineering. This isn't about will, it's about capability. Ritter developed this accessory for almost 3 years, and the result was not sterling. Unless you have actual experience of how the Beaulieu 6/7/9008-series handles with this magazine mounted, I think you should also consider if the investment time and money would be well spent. The set-up is very heavy, cantankerous, and the motorisation was woefully insufficient. Frame stability was also sub-par, even though it had a dedicated pressure plate, back then the holy grail of S8 filmmaking and those silly one-upmanship battlefront discussions with Single 8 shooters. Another option at your disposal could be to contact the BCFI, Deutschland's Beaulieu Markenclub, sozusagen. Some of my former fellow members have crossed the edge of madness and actually purchased that magazine when new. You could ask if a member wants to part with it for a reasonable price. As members are dying off, legacies often include old Beaulieu sets in excellent conditions. That could be another source to obtain one. I advise to raise this aspect with the necessary tact, though -_- ^_^ . Now, bear in mind: I am not making a point about 16mm vs S8 in formulating this reality check about your plans. I am the first to highlight the distinct material aesthetic of S8 over 16, and rubbishing cost-based comparisons between the two formats. My point is to what extent you are pushing S8 into a territory where its key technical (!) advantage of an "easy-to-handle" format start to disappear, without any benefits coming to the fore from shooting with 60m mags. I have actually done this, both with 60m cartridges and the SD8/60, and never looked back returning to shooting with 15m cartridges only, Sepmag and Commag. It was a great bucket list experience, for sure, but ultimately did not add anything to shooting with Super 8, either short experimental, documentaries, or short features. Great to read what Björn is doing for you. Awesome stuff!